We spent nearly three weeks bopping around Asia and had a blast. I was a little nervous about food going in as I’d heard plant-based options can be few and far between. However, I found the vegan/vegetarian options to be quite abundant compared to what others had said. With that being said, as you may know we aren’t fully vegan and were not super concerned about every ingredient that may be included in a dish that otherwise appeared vegetarian or vegan. I’m more of a flexitarian while traveling anyway, and if you’re in the same boat you will do very well in Asia. However, vegans will be surprised at the many entirely plant-based options there are as well! Hopefully this guide will point you in the right direction. Shanghai was smoggy – at least from what we encountered – but it wasn’t as crazy busy/hectic as I thought it would be. We did, however, visit during “Golden Week” – an annual country-wide celebration wherein people often take vacations – so that may have explained the quietness. Shanghai had a surprising number of tourists and expats, too – we kept bumping into Australians and Americans everywhere. It also has some pretty hipster areas with coffee shops, boutiques and bars. Overall, we were quite surprised with Shanghai and would definitely consider going back. The Food: I was surprised to find an entirely vegan restaurant in Shanghai (listed below), and a coffee shop with coconut milk chai! There were other vegan-friendly cafes that we didn’t get to because there just wasn’t time (including Vegetarian Lifestyle), but these are my favorites! Sumerian – This place was a huge highlight for me. It’s a cute cafe run by an expat that’s chock full of travellers and locals. I loved their americanos, John enjoyed their lattes, and the true highlight was their coconut milk chai latte! If Vegan – We dined here for lunch one day and were pleasantly surprised with the flavor, quality and selection! We shared a green salad, tofu curry, and roasted curried potatoes. Highly recommended! Jen Dow Vegetarian – A vegetarian restaurant located directly behind the Jing’an Temple in Shanghai (pictured above). I ordered a rice bowl with curried beans and vegetables – which was delicious – and John got mushroom ramen. Also recommended! The Bund – A strip of historic buildings turned into hip, luxurious bars. It’s the place to go at night to sip a cocktail, dance and enjoy Shanghai’s impressive skyline. We chose the rooftop patio of the House of Roosevelt and it was quite dreamy, though a little pricey. Breakfast – We stayed at the Park Hyatt Shanghai and thankfully they had an abundance of veggie options at their breakfast buffet (which was included with our room). Most mornings I got a big plate of fruit and a carrot juice followed by a plate of greens, roasted vegetables and beans for a little protein. 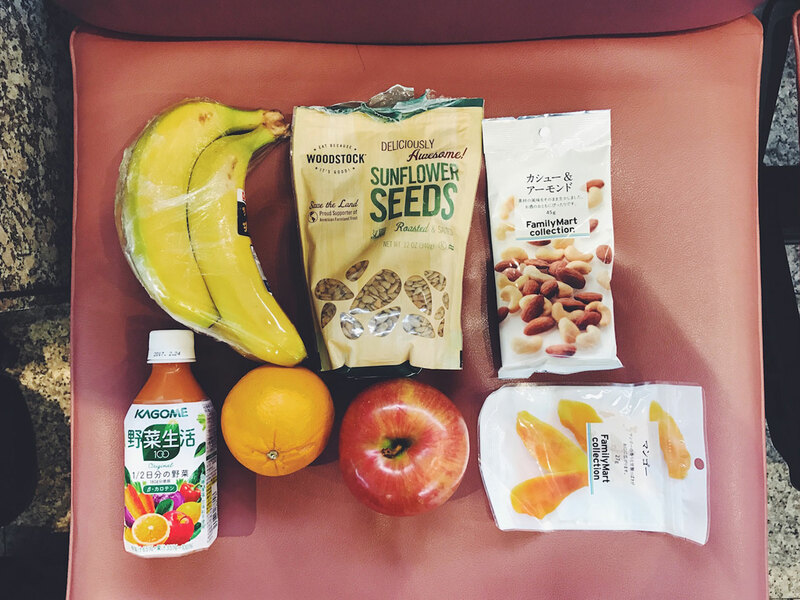 Tips – If you’re traveling to Shanghai I might suggest either visiting a grocery store for breakfast options, finding a smoothie shop, or snagging what’s available at your hotel. And happy cow (the website or the app) will be a useful tool in locating veggie options. That’s how we find If Vegan and Vegetarian Lifestyle. What can I say? Seoul stole my heart! The weather was gorgeous, the city is beautiful, safe, and pristine and boasts so many cool neighborhoods and shopping/eating districts. It felt like everywhere we turned there was another cool neighborhood to check out. Plus, the people are so warm and courteous. By day three I told John I wasn’t ready to go. Also, KIMCHI. We ate our weight in kimchi every day. So good! During our time in Seoul we explored a ton, including: Myeong-dong, Samseong-dong, and Namdaemun – three popular shopping areas, the first two being more traditional shops and boutiques (with tons of places to score skincare like sheet masks! ), and Namdaemun being more of an outdoor market. All three were very cool to walk through so if you have time, do all three! Food: I was quite impressed with the vegan selections I found in Seoul. However, dishes like Korean BBQ beef, pork and chicken are quite popular there, so don’t expect to walk in just anywhere find veg options. The restaurants tend to specialize in one dish and won’t have many vegetable side dishes, etc. With that being said, I still found a few gems. 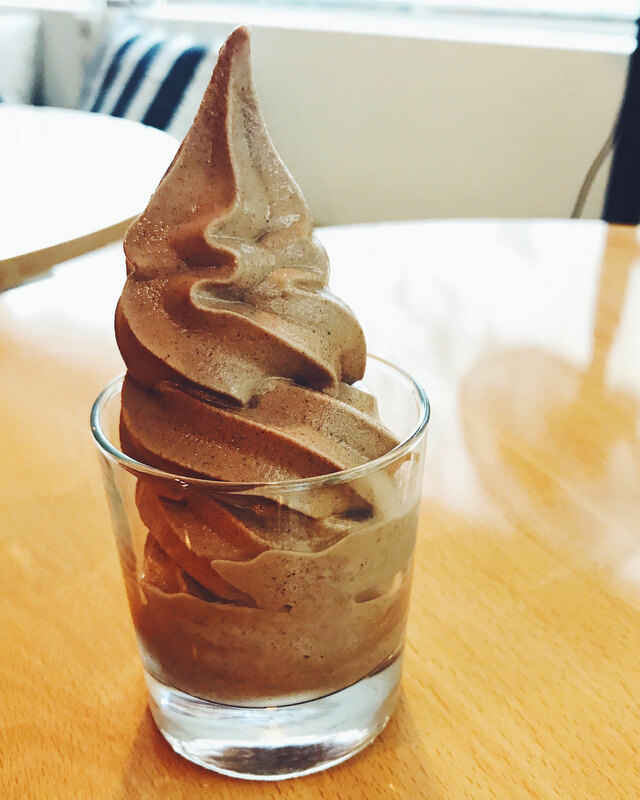 DalYang Sweet Kitten – Vegan soft serve (pictured above)! Plus other vegan eats like burgers, mac ‘n’ cheese, and chai lattes. It’s a little ways out of the city, but I thought it was worth the visit! 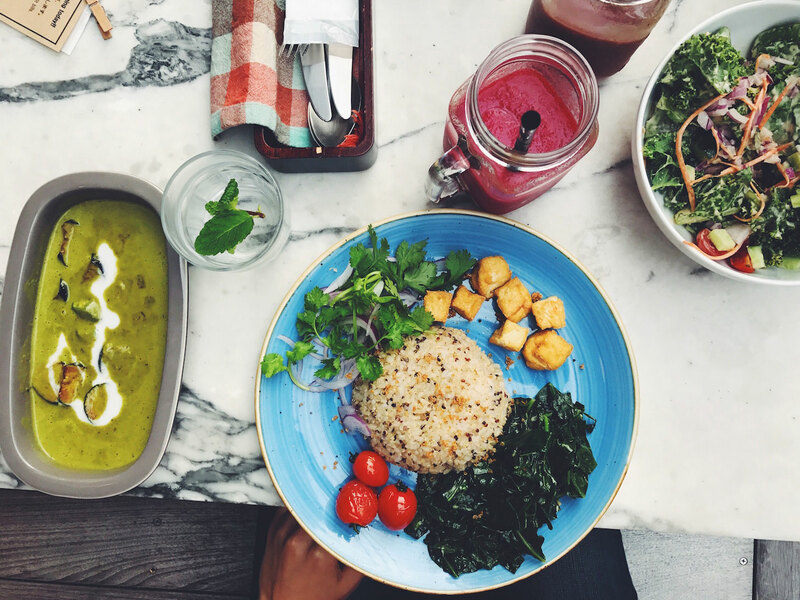 Plant – An amazing must-visit vegan cafe run by a food blogger! The menu boasts 3+ daily meal options, like tempeh tacos, falafel bowls, and curries, plus a full range of vegan baked goods, many of which are gluten free (the peanut butter cookie was bomb, but the carrot cake also looked choice). For drinks, try kombucha and homemade chai lattes with soy + almond milk. SSG – A beautiful, Whole Foods-like market with a huge array of produce, snacks, bulk items, and “American” goods like Dr. Bronner’s soap, green juice, and candy. They also have an attached cafe and coffee shop (which roasts its beans in-house) and also offers decaf. This is the perfect place to stop in for a snack, or when you need some ingredients to make a delicious meal at your AirBnB or hotel. Tips: Once again, the Happy Cow website/app saved the day. It pointed me toward Plant, DalYang, and SSG. As far as getting around the city, the subway is quite extensive but for some reason Google Maps didn’t always pull it up as an option. However, once you get the hang of the subway it’s the fastest way to get around the city. Taxis are also quite cheap and easy to snag. Our next stop was Osaka, which was super quirky and not what I expected in many ways. Unlike South Korea where almost all the girls wore the same makeup and everyone dressed quite similar, Osaka seemed to celebrate individualism. People dressed very expressively, even edgey. We also learned that Osakans speak their own “slang” form of Japanese, which explained why no one would engage with us when we tried to speak the few words of Japanese we knew. Overall, the city had lots of character and charm and I’m so glad we visited. The Food: Osaka threw us for a loop because it’s where John got food poisoning (from what we think was some bad sushi and miso soup). The funny thing is, it’s where I found the most vegan options! Once neither of us were feeling 100%, all we wanted were vegetables, rice and beans. This is what we found. Le Coccole – An adorable little vegan cafe with lunch and dinner fare. I ordered the curry and the chocolate mousse cake and John ordered the daily set. Nothing over the top but a solid option for lunch and dinner! They even boasted organically-grown vegetables and entirely naturally-sweetened desserts. Green Earth – A cute cafe with a selection of vegan eats, including a daily vegan “set” lunch including things like mashed potatoes, veggie burgers, soups and salad. They also have vegan baked goods. I went for the vegetable curry with beans and brown rice and it was so light and refreshing! Not as flavorful as Le Coccole’s curry, but delicious nonetheless. 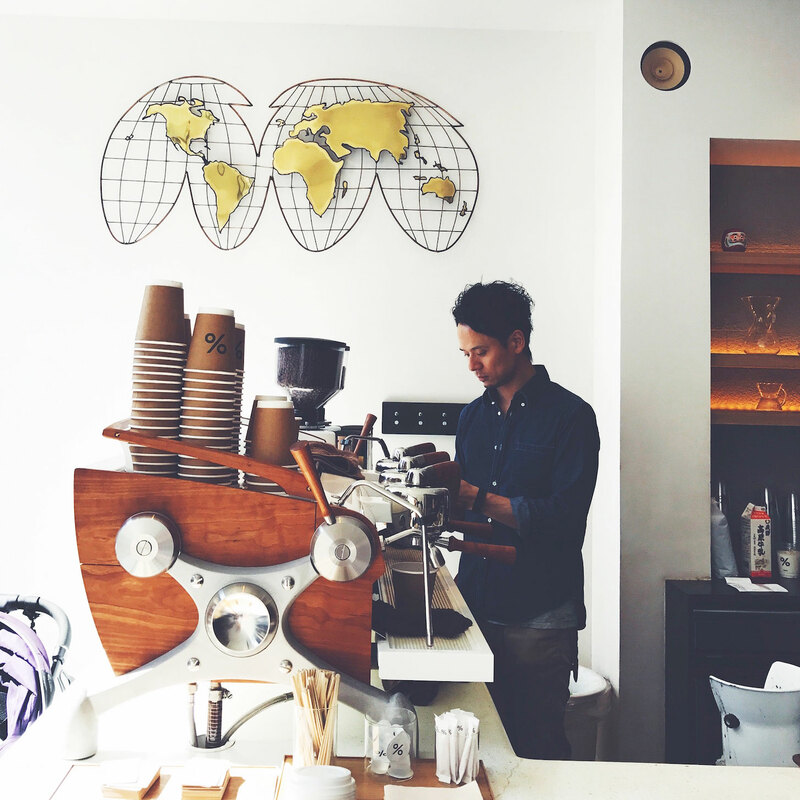 Lilo Coffee Roasters – Tiny cafe in a hipster area with incredibly high quality coffee drinks and kombucha! It was a little on the pricey side, but it was by far the best latte I had on the trip. Not only did they offer decaf coffee/espresso, they also had Califia almond milk for their lattes! Total win! 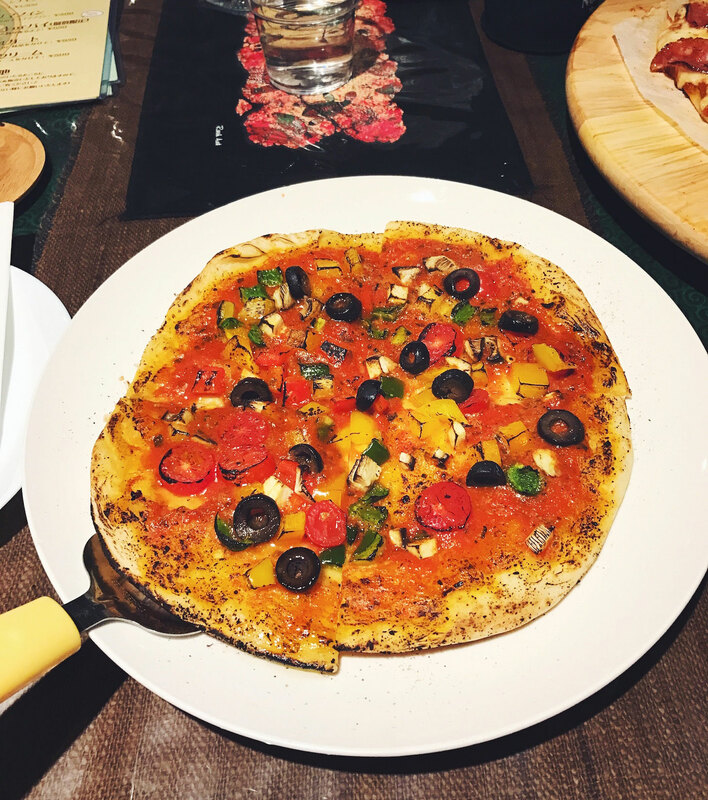 Kuma Cafe – A cozy restaurant that offers “American” style eats, like pizza, salads and pasta. I got a vegetarian pizza without cheese and it was delicious! I wish I had some nutritional yeast, but it had great flavor without. They also offer some local + Australian beers, as the cafe owner is an Aussie with lots of character and travel tips to boot. Hakata Ippudo Namba – Not plant-based, but if you’re looking for the best bowl of ramen in the city (maybe even country! ), this is it (in our opinion). The spicy ramen comes with the option of a soft boiled egg, fresh garlic, ginger, and tons of vegetables. It was the perfect “right off the plane,” hungry and exhausted meal. You won’t be disappointed. Lawsons – This is the convenience store we frequented most in Japan for plenty of vegan-friendly snacks + treats, like locally-made Japanese dark chocolate (!! ), sparkling water, nuts, and dried fruit. It was a lifesaver when our other food/drink options were limited. Unfortunately, neither John nor I were feeling just great when we arrived in Kyoto, which was a shame because Kyoto is a delight! It’s quintessentially Japan in so many ways – quiet alleyways, tidy homes and streets, incredibly polite people, simple + fresh food, temples galore. Despite not operating at 100%, we still did a decent amount of exploring. Here’s what we found. Arabica – High quality lattes with soy milk! We went back twice. No decaf, but I needed the pick-me-up at that point. Arash’s Kitchen – The #1 rated restaurant on Trip Advisor in Kyoto despite dismal service. It was almost laughable it was so bad. One table even got up and left while we were there because they were neglected for so long! We must’ve lucked out because we sat at the bar and had OK service. If you’re willing to overlook the disappointing service, the food truly is delicious and so flavorful. I had the vegetable curry, rice, naan and hummus and wasn’t disappointed. Morpho Cafe – Sadly, we didn’t get to try it as it was closed at 3:30 when we arrived. But all of the reviews suggest it’s the best place to get vegan eats in Kyoto! Next time. Beer Komachi – Not a plant-based joint, but they do offer a few veg options like green salads and french fries, as well as tons of craft beer and a pretty decent red and white wine! Breakfasts – We stayed at the Hyatt Regency in Kyoto, which was a beautiful hotel. It had plenty of veggie breakfast options, including muesli, fruit, salad, roasted vegetables, greens, juices, potatoes and more. Tips: We didn’t get to the temples that everyone raves about. When traveling, we’re usually on a mission for food. But if you’re there, we hear Fushimi Inari Shrine is a dream! Tokyo is HUGE – there’s so much to explore it’s almost overwhelming. And it’s so hip and trendy and extremely fashionable. We felt like slobs in our Nike shoes, jeans and t-shirts. People dress to impress there, that’s for sure. And the food scene is quite diverse with lots of veg options. Here’s what we found. The food: By the time we arrived in Tokyo John still wasn’t feeling 100% and we were missing home pretty badly. So a lot of our dining choices reflect the comforts of home! Sorry for the lack of Japanese recommendations. But I did spot TONS of vegan options on Happy Cow, so start there. Deus ex Machina – A coffee shop/cafe with a built-in shop above it. I went here twice for almond milk lattes (!!) and matcha green tea lattes. We didn’t try the food but it looked delicious. Cha Cha No Ma Tea Shop – A quaint, quiet tea shop with high quality teas. 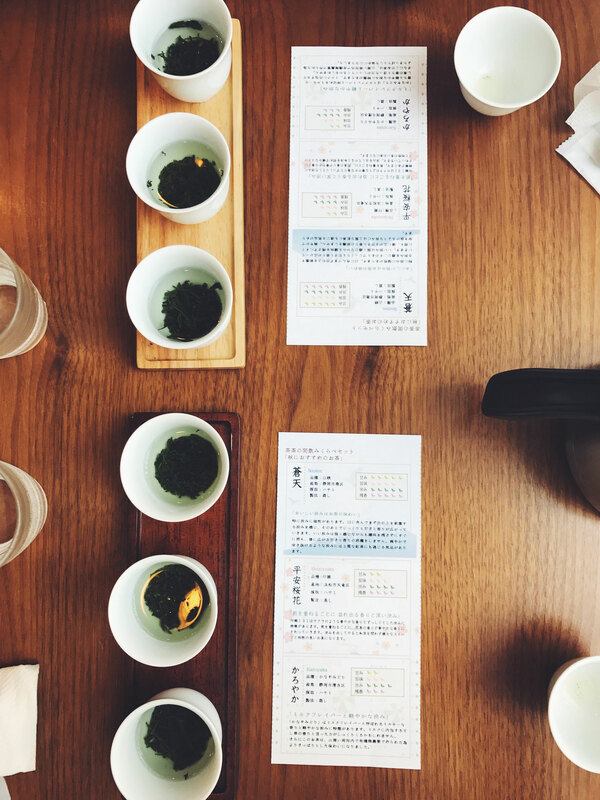 Though a little spendy, we did enjoy the green tea flight (pictured above). They also have sweets, but we didn’t try any. 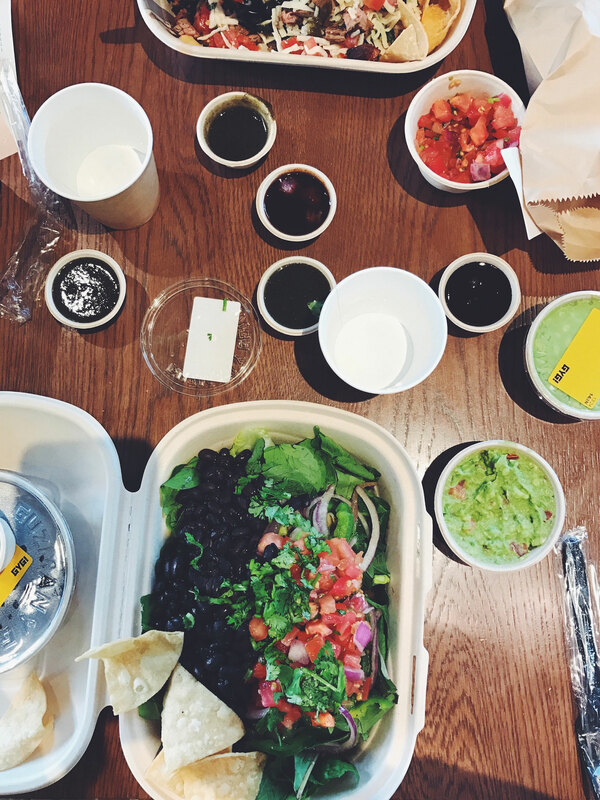 Guzman y Gomez – Chipotle but better, and a little pricey. But when you’re craving Mexican food, this is the place to go. Order at the counter and your food will come out so fast you’ll have hardly had a chance to sit down. I got the salad and swapped chicken for beans. The chips and guac are legit. I almost got a margarita because they looked so good…next time. Elle Cafe – A little off the beaten path in the Roppongi Hills shopping mall, but they offer fresh juices, gluten free baked goods, and insanely delicious coconut yogurt that’s so light it’s like it’s whipped. They also have several topping options for the yogurt, like berries, maple + nut, etc. Worth the trip! Mr. Farmer – Recommended by my pal, Erin, this place is a veggie lover’s dream. They offer plenty of vegan and gluten free options, as well as meat options if anyone in your party isn’t veg. It was so good we went there three times! Twice for lunch and once for to-go salads and smoothies for our subway ride to the airport. This place is a must-visit! Ain.Soph Ripple – We almost made it here one day, but it was a bit out of our way and we decided not to. But, if we were there for one more day I’d definitely try it! 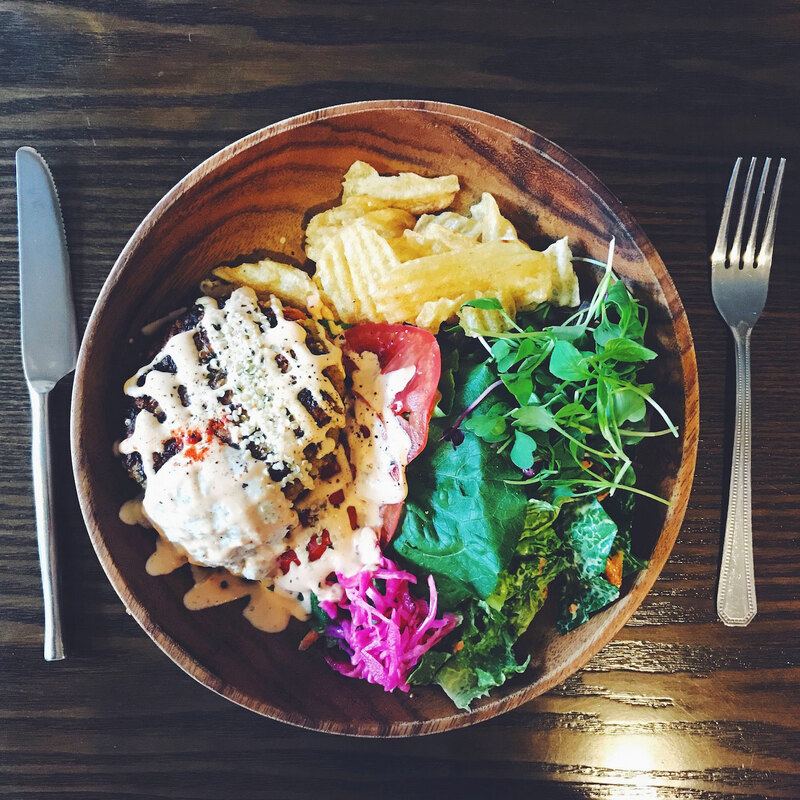 It’s highly rated on Happy Cow and offers vegan comfort food like burgers, fries and salad bowls. T’s Tantan – Supposedly the best – and only – vegan ramen shop in Tokyo. Sadly, we didn’t make it there. But it comes highly recommended! Brown Sugar 1st – An adorable little scoop shop with all vegan ice creams! I got the chocolate + nuts and it didn’t disappoint. Tips: Use the subway in Tokyo – it’s so easy and cheap! Start with Happy Cow for veg recommendations and explore from there. Tokyo has so much to offer – I’m only sad we weren’t feeling better to fully enjoy it! 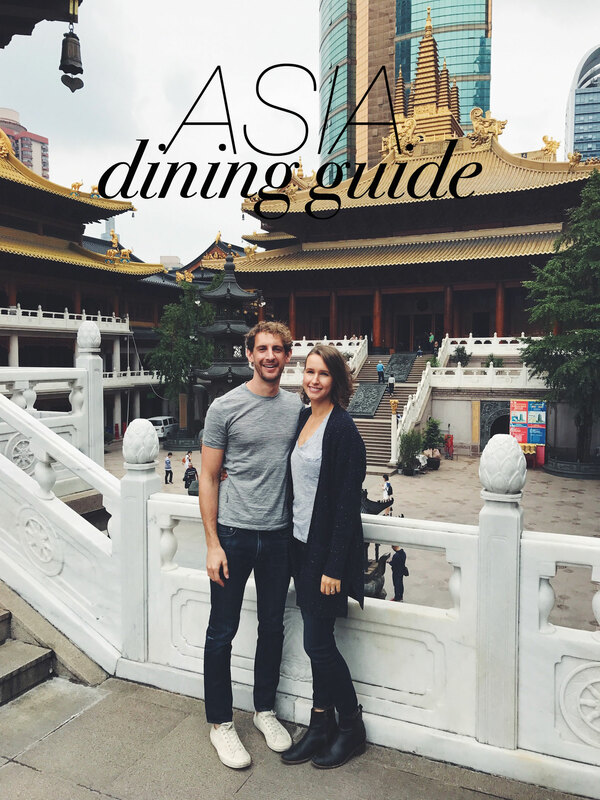 Thanks for checking out our Asia dining guide! I hope you find it useful. If you enjoyed it, let us know and we’ll consider doing more dining guides in the future! My #1 tip for travelling plant-based in Asia is to always have snacks on hand, and to use Happy Cow! It didn’t steer me wrong. I was stationed in Seoul for one year with the Army, I was lucky enough to discover Plant Cafe early on and ate there at least once a week. This was a few years ago and now I know they have a larger new location, but I cannot say enough amazing things about Plant Cafe, Mipa is absolutely amazing and her food is phenomenal! Hands down the best lentil burger I will ever eat in my life came from Plant. Also the cakes and cookies are excellent, I never could resist the dessert. If you find yourself in Seoul, please please do not miss out on having a meal at Plant. I know this is an older post but I have another recommendation for Tokyo – Itosho. This a tiny restaurant that serves a vegetarian shojin ryori (Buddhist temple cuisine) menu. You can choose the number of courses you want – we got the maximum offered. You’re served in your own private room by the owner and proprietor of the restaurant – who proudly shows you the New York Times article from the 1980s that he was featured in! The food was all beautifully presented and prepared. The best things I had were the tempura with mochi rice instead of batter and the melon served for dessert – maybe the best melon I’ve ever had, and I usually hate melon! It’s not exactly inexpensive, but it’s a wonderful experience. It’s a little tricky to get reservations; they don’t really speak much English if you try to call them, but we had our hotel in Tokyo booked, so we asked the hotel concierge if they could make reservations for us ahead of time. Oh and yes, T’s Tan Tan was great! Nice!! Very informative and accurate! Just wanted to say that I went there many times. I think that’s a very accurate description of how things work there.